Today, only a handful of people know what it means ... Soon you will know. In this socially conscious thriller, an ambitious female newscaster and her cameraman, a former 1960s radical with a penchant for conspiracy theories, witness and capture on film a potentially disastrous nuclear accident. Joining forces with a concerned engineer at the plant where the near-meltdown occurred, the reporter and the cameraman attempt to expose the subsequent cover-up. When it arrived, The China Syndrome enjoyed a tremendous jolt of free publicity. 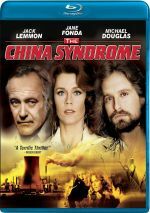 The China Syndrome hit screens on March 16, 1979, and the nuclear plant at Three Mile Island experienced a potentially catastrophic situation 12 days later. Real life and fiction heavily intertwined, which naturally sparked audiences to want to see the movie. That made China a “must-see” effort back in the spring of 1979, but would it still be interesting 37 years later? Definitely, as it’s aged well in that span. At the start of China, we meet Los Angeles TV reporter Kimberly Wells (Jane Fonda). Generally assigned to fluffy human interest stories, she does a remote spot at the Ventana Nuclear Power Plant for a special on energy sources. She works along with cameraman Richard Adams (Michael Douglas), a radical with an anti-nuclear bent. During their visit, a strange rumbling occurs. At first control room shift supervisor Jack Godell (Jack Lemmon) dismisses it as a routine “turbine trip”, but it looks like something more intense. Richard surreptitiously films the action as Godell narrowly averts a meltdown. Kimberly and her crew rush back to run the story, but news producer Don Jacovich (Peter Donat) refuses to do so until they find out more about what happened. We see that the owners of Ventana want to open a new plant, so they worry about how this event may affect the upcoming hearings. Jacovich decides to hold the story until the NRC reports on the Ventana incident. An incensed Richard wants the material to air now, so he steals it and eventually shows it to experts to learn more about it. Back at the plant, Jack looks into a second shudder that occurred after the turbine trip, as he’s not sure what caused it. When she hunts for Richard, Kimberly runs into Jack at a bar, and he attempts to convince her the events were inconsequential, but he clearly doesn’t believe his own propaganda. He gets more and more involved in his own investigation and doesn’t like what he finds. 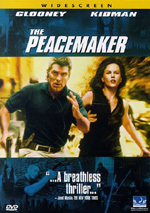 The rest of the movie follows the various parties as they come together to discover the problems and expose the truth. Most movies with a political bent tend to come across as a product of their era, and that affects China to some degree. Mainly that element manifests itself in the level of deception seen in the film. Though I suppose these topics remain timeless, it’s a very Seventies take on corporate conspiracy and the concern for power/profit over safety. There’s a definite “post-Watergate” vibe to the whole thing. That said, China lacks the stridency and holier-than-thou attitude I expected from a movie made in 1979. At least until the ending, it maintains a surprisingly calm and objective tone. The film never overtly attacks nuclear power, as it really concerns itself more with abuses of power and the public trust. One will likely take a negative view of nuclear energy away from this movie, but I can’t blame the filmmakers for that, as they don’t try to press that particular agenda on us. The flick lightly defends the general safety of the system but slams the sloppiness and concerns about money over safety. The film’s finale becomes a bit hysterical and illogical, but otherwise, China benefits from a remarkably calm and objective treatment of the subject manner. The absence of a score gives the movie a stark feel that works, and we see action displayed without theatrics. For example, take the staging of the initial incident at the plant. The film depicts this in a simple and concise manner that allows the action to become all the more nerve-racking. It certainly helps that China enjoys an excellent cast. During their careers, all three leads earned Oscars for other projects, and both Fonda and Lemmon received nominations for this flick as well. That’s a lot of acting firepower, and each member of the cast delivers the goods. Fonda seems especially strong, as she makes sure Kimberly isn’t some sort of super crusader or whatever; Fonda displays the character’s weaknesses and makes her a believable person. Chalk up The China Syndrome as something of a pleasant surprise. I saw the flick as a kid and liked it but didn’t expect it to hold up well. However, it remains a solid piece of work. The China Syndrome appears in an aspect ratio of approximately 1.85:1 on this Blu-ray Disc. Though it showed its age, this was usually a pretty good presentation. Sharpness was a bit erratic but usually positive. Though occasional shots seemed a little soft, much of the movie demonstrated reasonably positive delineation. Jagged edges and shimmering created no concerns, and no edge enhancement appeared. Print flaws caused no concerns, and I thought the movie offered a nice layer of natural grain. Colors seemed to be reasonably natural. The tones came across well, with hues that always appeared fairly rich and dynamic. It wasn’t a colorful extravaganza, but the movie replicated the realistic tones nicely. Blacks also were deep and firm, and except for a couple of shots at the end, shadows looked smooth and appropriately delineated. I felt this became a “B” presentation. As for the DTS-HD MA 5.1 soundtrack of The China Syndrome, I anticipated a “broad mono” track, but instead I got a mix that opened things up quite well much of the time. Granted, since much of the action displayed limited scope, a lot of the flick did come across as little more than monaural. However, it spread out the material well when necessary. The movie often conveyed a good sense of environment, and the scenes in the nuclear plant gave us a good feel for the machinery. The occasional bits of music also demonstrated nice stereo imaging in the front, though these remained very infrequent. The best parts came from the livelier scenes. Parts with nuclear accidents kicked into high gear and used the surrounds to make the events engulf us in a convincing manner. A car chase also presented vivid audio and even tossed in some split-surround material. The soundfield occasionally was a little awkward and “speaker specific”, but it remained quite ambitious given its age. Audio quality sometimes suffered from deficits we would associate with an older movie, but I found little about which I could complain. Speech tended to be a little stiff and reedy but lacked edginess and remained totally intelligible. As I noted, music played a very small role in the proceedings, but when they occurred, the bits were clear and reasonably bright. Effects came across as accurate and dynamic. The louder moments demonstrated good bass response and packed a moderate wallop. Overall, I liked this soundtrack and thought it was above average for its age. How does the Blu-ray compare to the original 2004 DVD? Visuals were cleaner and tighter, while audio appeared richer and fuller. This wasn’t demo material but it improved on the DVD. Some of the DVD’s extras reappear here. The China Syndrome: A Fusion of Talent runs for 27 minutes, 35 seconds as it includes movie clips, archival materials, and interviews. We hear from producer/actor Michael Douglas, executive producer Bruce Gilbert, director James Bridges’ partner Jack Larson, and actors Jane Fonda, James Karen and Peter Donat. 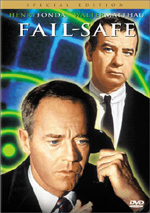 They cover how Douglas became a producer and how he latched onto China, the film’s development and casting, a competing project created with Fonda and how the pair came together, finding a director and the growth of the story, the approach to the subject matter and its social context, character issues, thoughts on Jack Lemmon, and general memories and impressions of the film. Very little fluff occurs in this tight program. It succinctly goes over appropriate subjects and proves quite informative and entertaining. Next we locate The China Syndrome: Creating a Controversy. This 29-minute, 33-second program works the same as “Fusion” and includes statements from Douglas, Gilbert, Fonda, Larson, Karen, and Donat. Essentially, “Controversy” acts as “Part 2” of a piece along with “Fusion”. The participants go into pressures to clean up the look of Douglas’ character, controversies about the subject matter and the way these affected the production, the approach to TV news, production design and sets, cinematography and technical concerns. We also learn of approaches to the characters and interactions among the performers, issues connected to the social concerns, rough cuts of the movie and the decision to drop most of the music. We finish with info about deleted scenes and Jack Lemmon’s negative reaction to them, problems with the title, controversies that greeted the film’s release and the impact of Three Mile Island. All the same strengths from “Fusion” occur here as well. The program looks into some nuts and bolts issues along with a view of the social topics. It delves into these tightly and works well. We even get to see a funny outtake of Fonda as she hobbles along on a broken foot caused by her enormous shoes. The Blu-ray drops deleted scenes, filmographies and previews from the DVD. I miss the cut sequences but the other omissions seem negligible. Because I’d not seen The China Syndrome for years, I feared it’d offer a dated experience. A little of that tone came through, but overall, the movie presented a surprisingly timeless piece. It enjoyed a low-key attitude that made it more effective, and an excellent cast helped bolster it as well. The Blu-ray offers pretty good picture and audio along with two informative documentaries. Syndrome continues to offer an effective thriller.